Dinosaurs and other prehistoric life forms have more in common with Star Wars than one would expect. Their awe-inspiring and mysterious fossils may be all that’s left from their existence, and mankind has always been fascinated by the life that once roamed the earth. Many children will surely remember having a “dinosaur-period” during their childhood and the release of Jurassic Park (1993) resulted in a revival of interest in all things prehistoric. 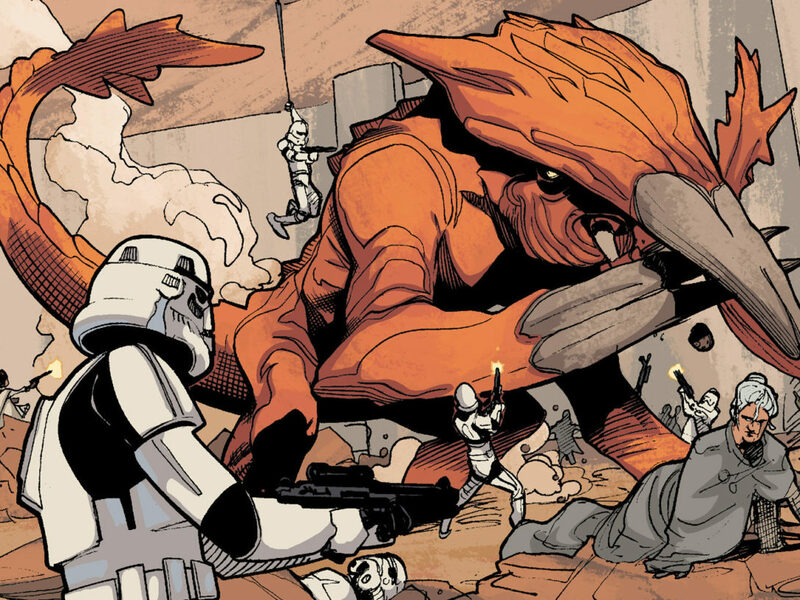 Appearing in early Expanded Universe sources, several prehistoric life forms from Earth actually exist in the Star Wars universe. Giant reptiles, called Dinosaurs, lived on Trammis III, a planet situated in The Centrality. 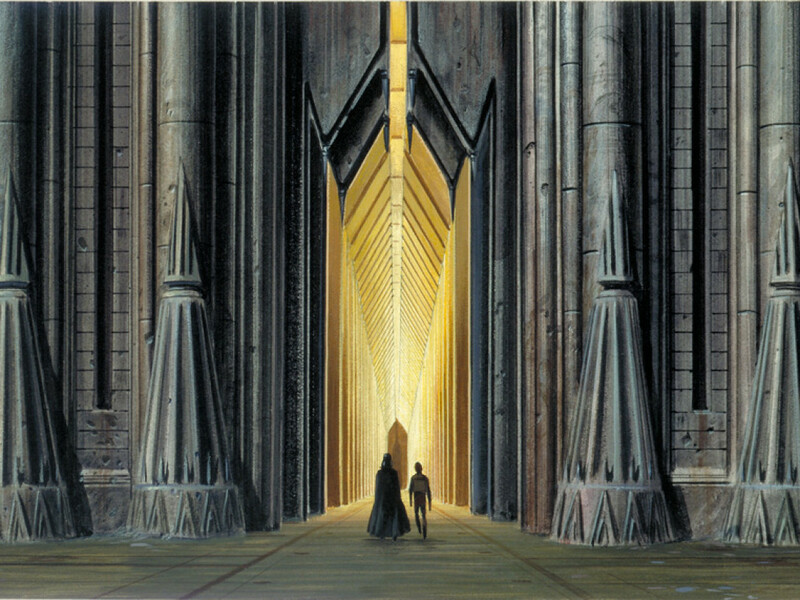 The Pterosaur of Ammuud is another example of a prehistoric creature that found its way to the Star Wars universe. A cast from the skull of an Apatosaurus was even used in A New Hope, to create the Krayt Dragon skeleton. 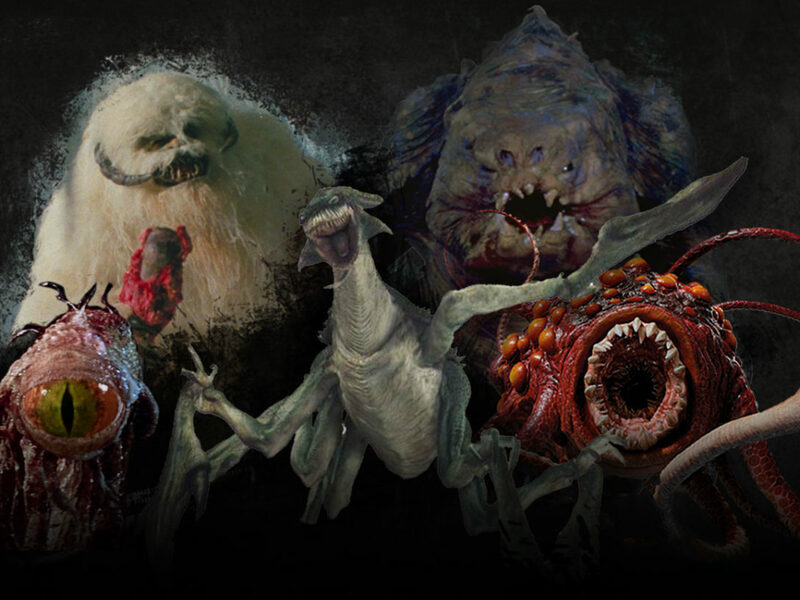 In this entry we will take a closer look at 10 species or creatures from that galaxy, far, far away that are reminiscent of prehistoric life forms. Not just dinosaurs, but also prehistoric mammals, reptiles, amphibians, and even insects will cross our path. But, before we begin, just a short introduction to our prehistory. The most important eras you should be familiar with for this article are the Paleozoic (541-251 million years ago, or ‘mya’), Mesozoic (251-65.5 mya) and the Cenozoic (65.5 mya-present). The Paleozoic is subdivided into the Cambrian, Ordovician, Silurian, Devonian, Carboniferous, and Permian. This era was marked by an enormous boom in marine and (starting at the Devonian) terrestrial life. The development of plants lead to an oxygen-rich atmosphere that enabled animal life to evolve. The end of the Permian was marked by the largest mass extinction event in Earth’s history, with only 10 percent of marine and about 30 percent of terrestrial life surviving. The Mesozoic is subdivided into the Triassic, Jurassic and Cretaceous, and is best known for being the era of the dinosaurs (one period even got its own theme park). After the mass extinction of the Permian, dinosaurs and early mammals ruled the supercontinent of Pangaea, which started to drift apart during this period. The end of the Triassic was also marked by an extinction event, which meant the end for most mammals and made dinosaurs the true rulers of the land for more than 160 million years. Yet another extinction event occurred at the end of the Cretaceous, this time wiping out most large animals, including the dinosaurs. The Cenozoic is subdivided into the Paleocene, Eocene, Oligocene, Miocene, Pliocene, Pleistocene, and Holocene (the current epoch). It is commonly known as the age of mammals, which are the most successful group of animals of this era. Best known is the Pleistocene, in which the last ice age occurred and our own ancestors roamed the land. 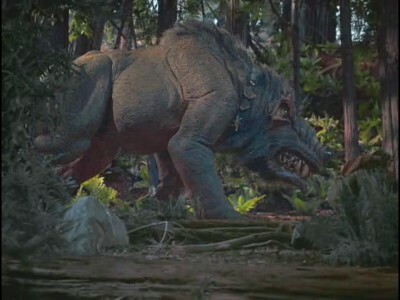 One of many dangerous creatures on the Forest Moon of Endor was the Boar-wolf (Caravan of Courage). This large predatory mammal had fearsome tusks and a humped back, and it was sometimes kept by the giant Goraxes as a pet. Although its name refers to a wolf, the creature is a spitting image of the Daeodon, the largest of the Entelodons. Entelodons were omnivorous creatures that lived from the Eocene to the Miocene (37.2-16.3 mya). The Daeodon stood taller than an average human being and looked like a giant warthog (not the clone pilot). Despite their appearance, the Entelodons were more closely related to modern day hippos. 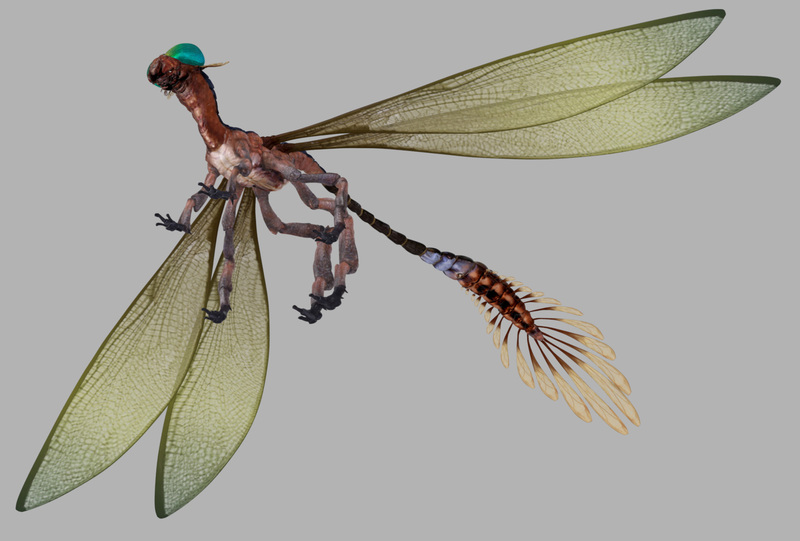 The Can-Cell (Revenge of the Sith) was a large winged insect that could be encountered on planets like Kashyyyk, Teth, Aleen, and Ryloth. 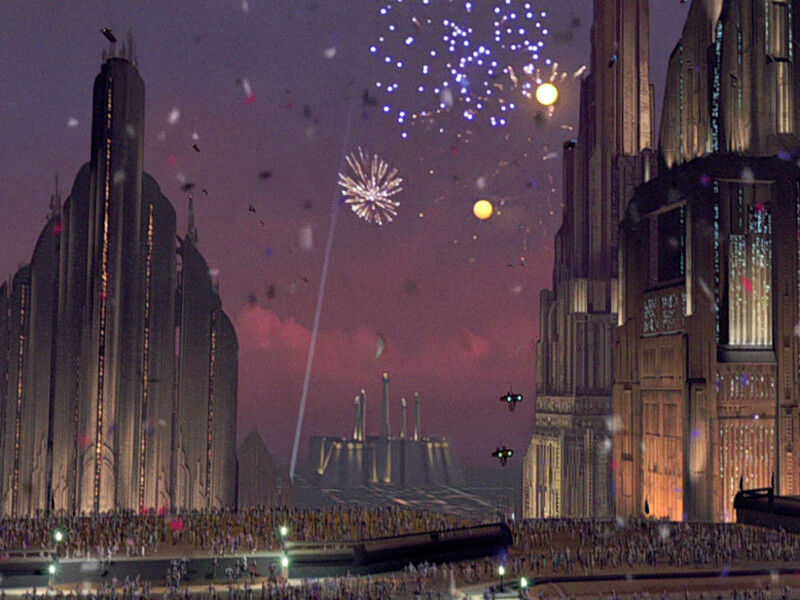 It was used as transportation by the diminutive Aleena and by Jedi during the Clone Wars. Most insects that we encounter in our daily lives are very small, but during the Carboniferous era (300 mya) invertebrates used to be a lot larger. Their large size during that era can be attributed to the moistness and to the fact that the oxygen level in the atmosphere was much higher than today (35 percent compared to 21 percent today). 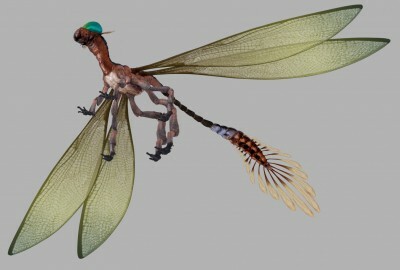 One of those giants was Meganeura, a dragonfly with a wingspan of 65 centimeters (25 inches). The Can-Cell looks like an enlarged Meganeura. 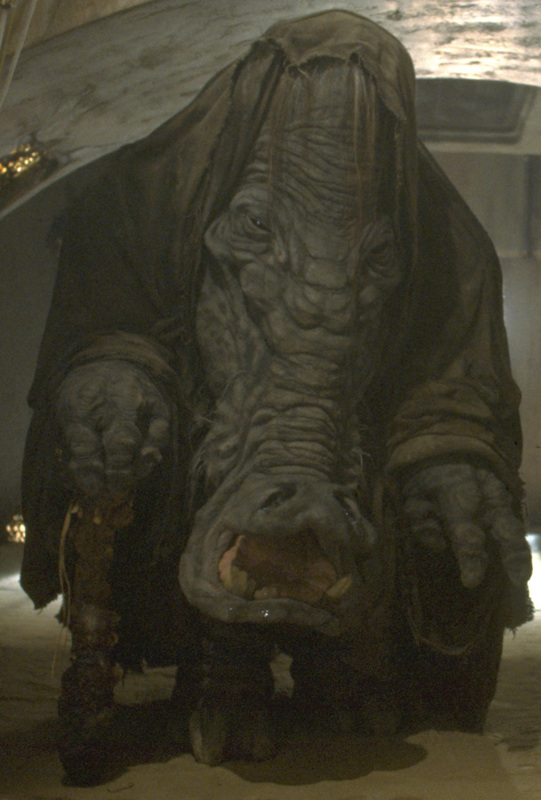 The Chevin (Return of the Jedi), sentient pachydermoids hailing from Vinsoth, seem to share a feature with the Platybelodon. The long faces of the Chevin are very reminiscent of the flat and broad trunks of the prehistoric mammal. The Platybelodon was a distant cousin of the elephant that lived during the Miocene (15-4 mya). During the late Miocene, relatives of modern horses, deer, and whales shared the world with animals such as the giant caiman Purrusaurus and the grazing rhino Teleoceras. 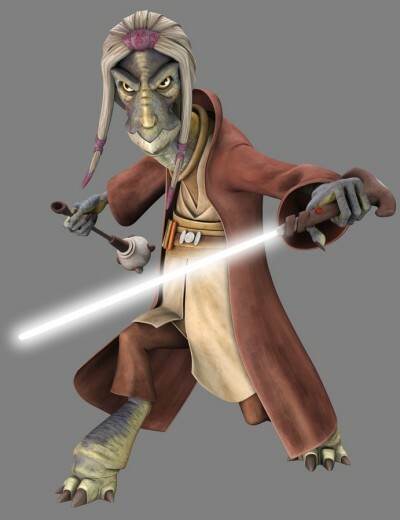 Jedi Master Tera Sinube (from The Clone Wars, based on a design of Terryl Whitlatch for The Phantom Menace) helped Ahsoka Tano to find her stolen lightsaber in the episode Lightsaber Lost. Sinube’s species, the Cosian, have the same pointed beak as the Iguanodon of the early Cretaceous. The Iguanodon was a large herbivorous dinosaur best known for its thumb spike. It was one of the very first dinosaurs to be officially named and its popularity grew when at least 38 Iguanodons were discovered in a Belgian coal mine in 1878. A lot of the skeletons from that discovery can be seen at the Museum of National History in Brussels. 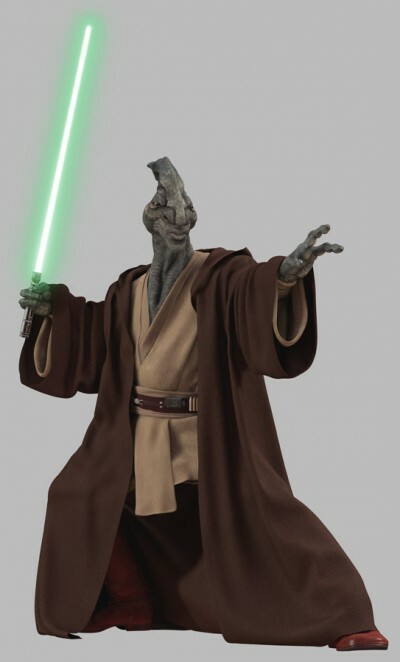 Dactillions (Revenge of the Sith) are reptavians native to the planet Utapau. These carnivores were domesticated by the Pau’ans and the Utai, and were used as transports to travel beyond the sinkholes. Although it has four legs and two wings, instead of front legs that were transformed into wings, the looks of the Dactillion are quite similar to Cretaceous pterosaurs such as the Ornithocheirus (112-108 mya). These flying reptiles could reach a wingspan of 6 meters (20 feet), and were characterized by their keeled beaks. The Ruping (The Clone Wars) from Onderon also reminds us of pterosaurs. 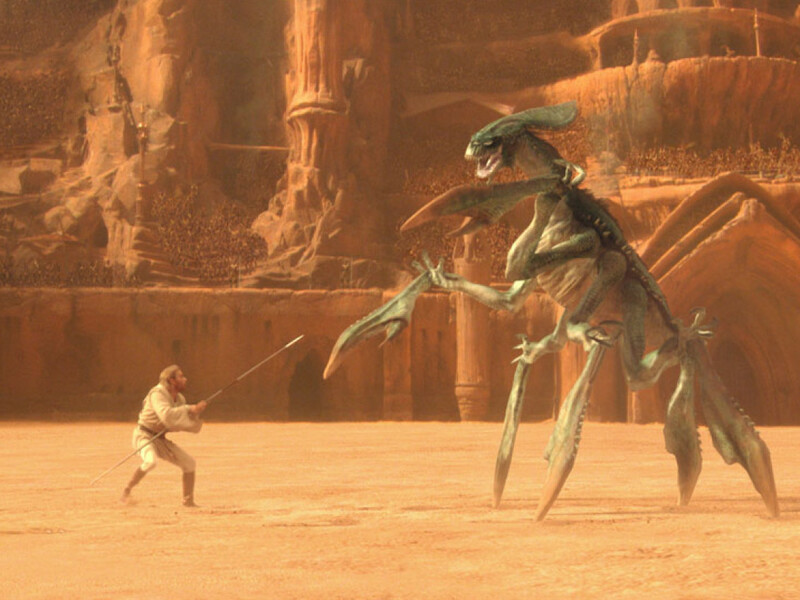 Gorgs (The Phantom Menace), or Chubas in Huttese, are frog-like amphibians appearing on planets such as Tatooine, where they are bred and sold by Gorgmongers. 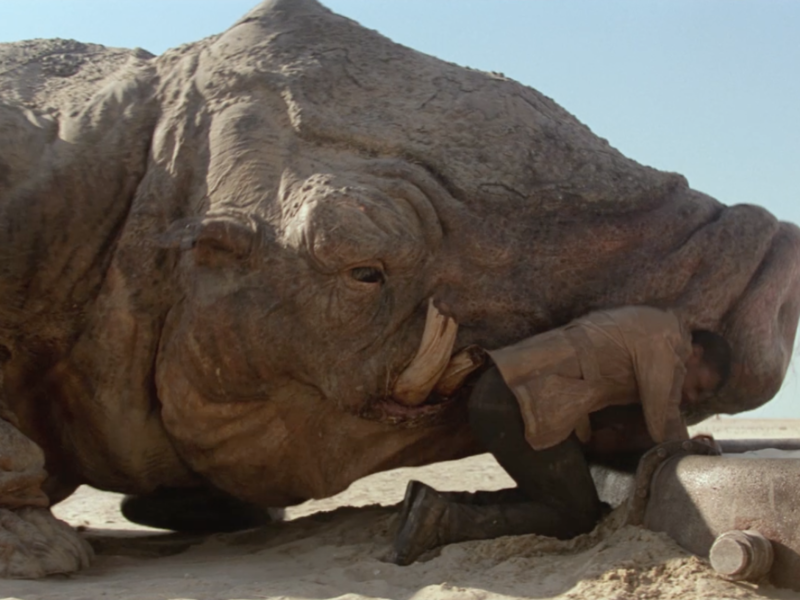 Jar Jar tried to grab a Gorg with his tongue, but it ended up in Sebulba’s plate. There are several types of Gorgs, but one of them features the same boomerang-like skull as the Diplocaulus. That amphibian lived in the Permian (300-252 mya) and was approximately one meter (3.3 feet) long. The Diplocaulus had weak limbs and therefore it is believed that its head acted as a hydrofoil. Native to New Plympto, the Nosaurians (The Phantom Menace) are a reptilian species characterized by a series of horns on their heads. They have incredible fast reflexes and are able to produce flashes of light with their mouths. 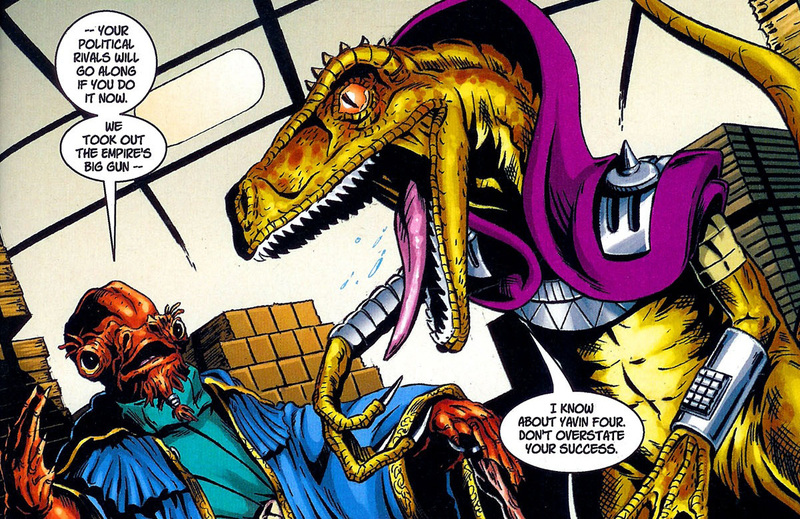 Funny thing is, the Nosaurians we see in the Dark Times comics resemble the Ceratopsidae such as Styracosaurus (76.5-75 mya) far more than Clegg Holdfast, the Nosaurian podracer we see in The Phantom Menace. The Styracosaurs were herbivores with six horns protruding from their neck frills. If they had evolved into bipeds and lost their nose horn, they would probably have looked a lot like Bomo Greenbark. 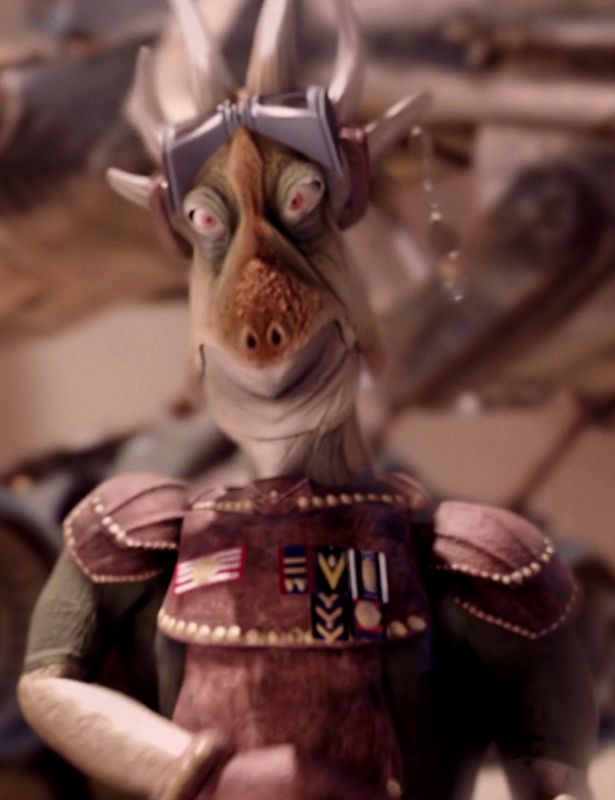 The reptavian Pikobis (The Phantom Menace) from Naboo are small creatures that live near the water. They used their padded feet to hunt and could regenerate their tails. Not a striking image, but the general build of Pikobis does resemble small theropods such as Sinosauropteryx (124-122 mya), although they lack the feathers. 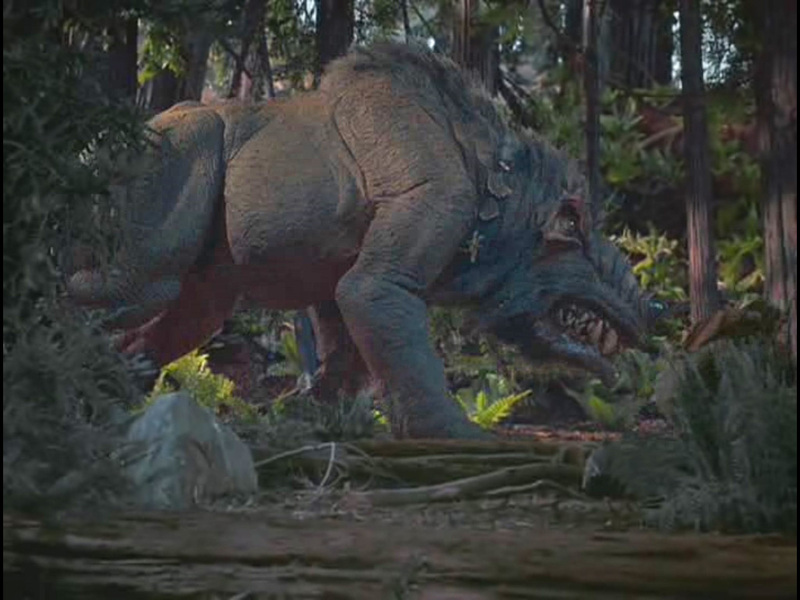 More Naboo wildlife resembles prehistoric life, including the Fambaa and the Kaadu, which would not have looked out of place in Walking with Dinosaurs. Tiss’shars (Han Solo at Stars’ End) are reptiles from the planet Thiss’sharl. Well known for their sense of business and aggressive practices, the Thiss’shar are divided into six subspecies. These subspecies are probably an explanation for the wide variation in visual representations of the species. Their depiction in Empire #31 by Dark Horse is most similar to the Velociraptors of the Cretaceous (75-71 mya), complete with the characteristic sickle-shaped second digit and presence of feathers. The depiction of Uul-Rha-Shan in The Essential Atlas could have been inspired by the Megalania, a giant Pleistocene monitor lizard and a cousin of the Komodo dragon. The Vurk (Attack of the Clones) are amphibious reptomammals from Sembla. They are nomads with a society structured around personal freedom and integrity. The head of a Vurk immediately reminds us of the crested Parasaurolophus (76.5-73 mya). Although the function of the elaborate cranial crests of these Hadrosaurs has been the topic of much debate, the general consensus says that they were used for thermoregulation and communication. The crest contained a hollow space that was used to resonate and amplify sound. 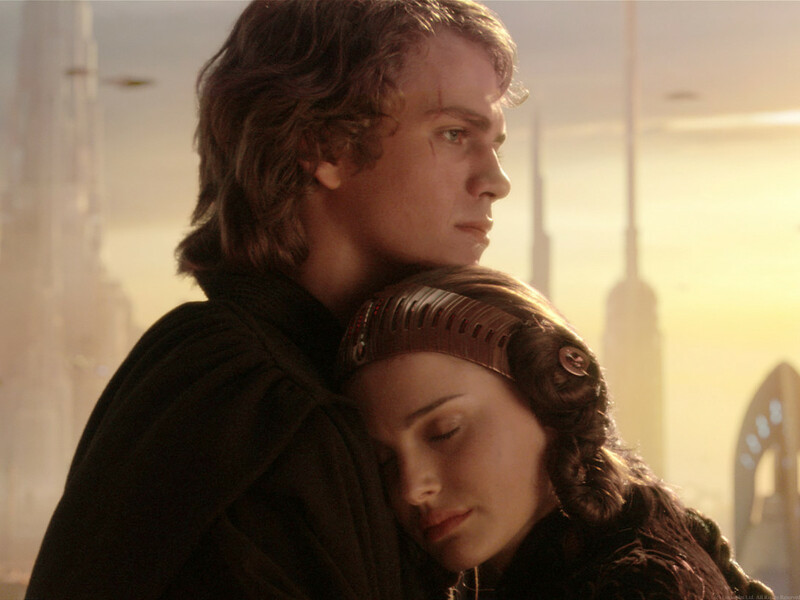 A functional similarity can also be found in the Star Wars universe, in the Anx (The Phantom Menace) from Gravlex Med. These species and creatures are just 10 examples of how prehistoric life is reflected in the Star Wars galaxy. Who knows how many will follow with the new movies on their way?